Description: Eventually the sylvite seams got so large that they included the entire working face. In cases where this happened, the halite crystals grew to over 2 meters on a side. 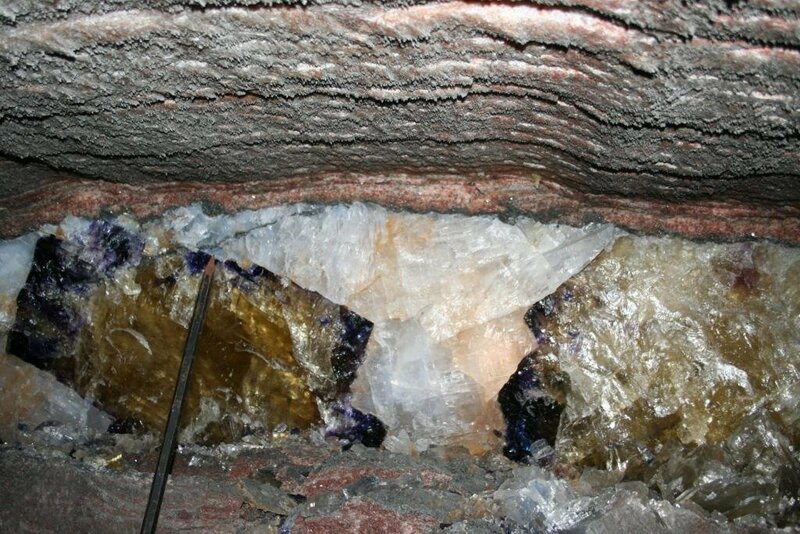 This particular crystal is nearly 1.2 meters across.